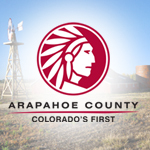 Meet Arapahoe County Commissioner Nancy Jackson, who represents District 4 for Coffee and Conversation. Learn about the County's services, ask questions, raise concerns to help make your community a better place to live. -- Alive at 25 is a 4½ hour driver's awareness course designed by the National Safety Council for young drivers ages 15-24.